When it comes to paying for college, there’s nothing more important for students to do than complete the Free Application for Federal Student Aid (FAFSA). This form, filed annually, is the gateway to virtually all federal, state and institutional financial aid, and many private scholarship providers require it as well. Unfortunately, completion rates for the FAFSA have remained stubbornly low — only about half of high school grads complete the form, and the ones who don’t may be leaving close to $3 billion in financial aid on the table. In the face of rising costs and spiraling student debt, those dollars are more important than ever. To help get them to the students who need them, the federal government has worked to simplify the FAFSA process in recent years. And in 2015, supported by organizations like Scholarship America, Congress and the President worked together to introduce the biggest change yet: allowing families to start the FAFSA three months earlier by using their previous year’s IRS filing. This new initiative, called “prior-prior year” or “early FAFSA” filing, means that students and parents no longer have to scramble to file taxes, estimate income and figure out the FAFSA starting on January 1 each year. Instead, starting October 1, they can use IRS and Department of Education tools to import their income tax data from the past tax year, and complete the FAFSA based on those figures. This timing change makes life easier for families at a busy time, and it also helps align FAFSA deadlines better with colleges’ own financial aid process. It should lead to more students completing the form, and to more accurate financial aid offers from schools. But, to work as intended, early FAFSA also needs counselors, volunteers and family members to spread the word. If you’re in a position to advise or support students, here’s how you can help boost completion rates this fall. To improve FAFSA completion, it’s important to know where you’re starting. Fortunately, completion efforts have introduced a great deal more transparency into the process, including detailed district-by-district and school-by-school breakdowns of how many students are starting and finishing their FAFSA. Using this tool, you can download FAFSA Completion Project reports to how your district stacks up with others in your state or across the nation. You can also use these Title IV reports to learn a great deal about the Pell Grant, federal loan and institutional aid distribution at colleges around the country, helping you get a picture of your students’ likeliest paths to aid. The federal government’s Financial Aid Toolkit offers a wide range of resources for both financial aid professionals and the general public, all geared toward demystifying the process of paying for college. One of the most important current offerings is this guide to 2017-18 FAFSA changes, which outlines the new submission windows for the next several years. The National Association of Student Financial Aid Administrators (NASFAA) has also compiled a Prior-Prior Year Toolkit for counselors and financial aid offices. If you work with a secondary or postsecondary school, the guides to best practices and implementation timelines are vital — and the early FAFSA memes will help you reach out to students on social media! Finally, the National College Access Network provides some excellent advice to counselors and advisors on getting FSA IDs set up. This technical requirement has proved to be a stumbling block for both new and renewal FAFSA filers, so this is a valuable guide to bookmark before you start getting those urgent calls for help. Why Tennessee? The basic explanation is simple: FAFSA completion is required for all participants in the Tennessee Promise program, which covers unmet financial need for students at the state’s community colleges. The program was introduced in 2014, and, as a result, FAFSA completions by Tennessee high school graduates jumped from 31,000 to 45,000, where they remained steady in 2016. Obviously, Tennessee Promise is a massive statewide effort that required years of bipartisan negotiation to implement. But that doesn’t mean your school or community can’t learn from the state’s efforts. To accompany the FAFSA requirement, for example, the state provides a detailed guide to completion with links to further resources. Crucially, they also pair program participants with mentors to keep them on track, answer FAFSA questions and ensure they’re sticking with their timelines and goals. 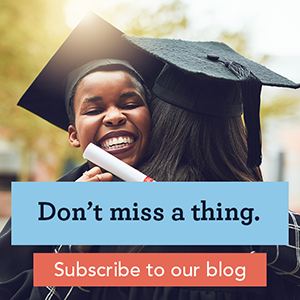 If your school, foundation or Dollars for Scholars affiliate isn’t requiring a FAFSA for your scholarships, we’d urge you to consider doing so as well. By combining a completion requirement with a support network, Tennessee is leading the nation when it comes to the FAFSA — and, when applications open this October, your school or organization can help your community do the same.